The Welch Foundation created a new award in honor of scientific advisory member Norman Hackerman to celebrate outstanding achievements for Texas-based chemists. 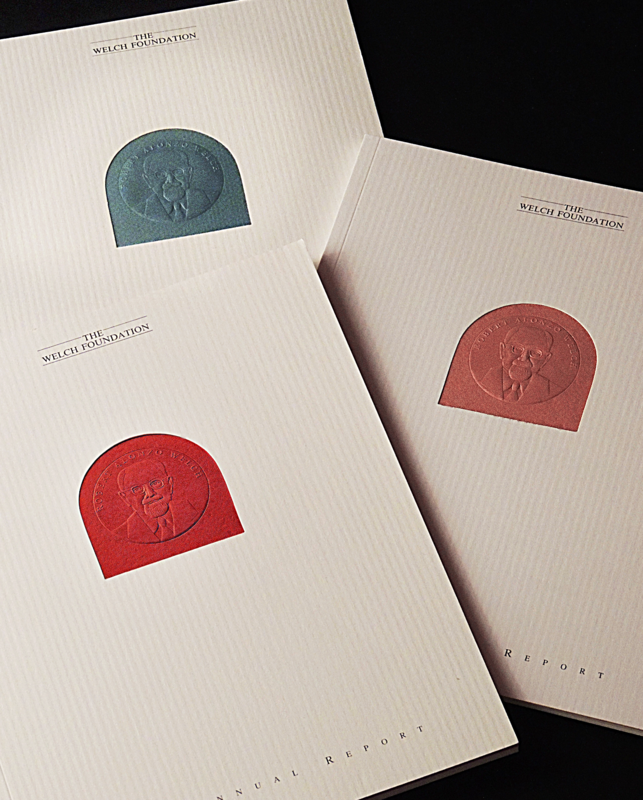 Denning & Denning created award ceremony invitations, programs and certificates for the event. Because Hackerman was best known for research in the oxidization of copper, all event materials featured copper metallic inks and foil stamping. 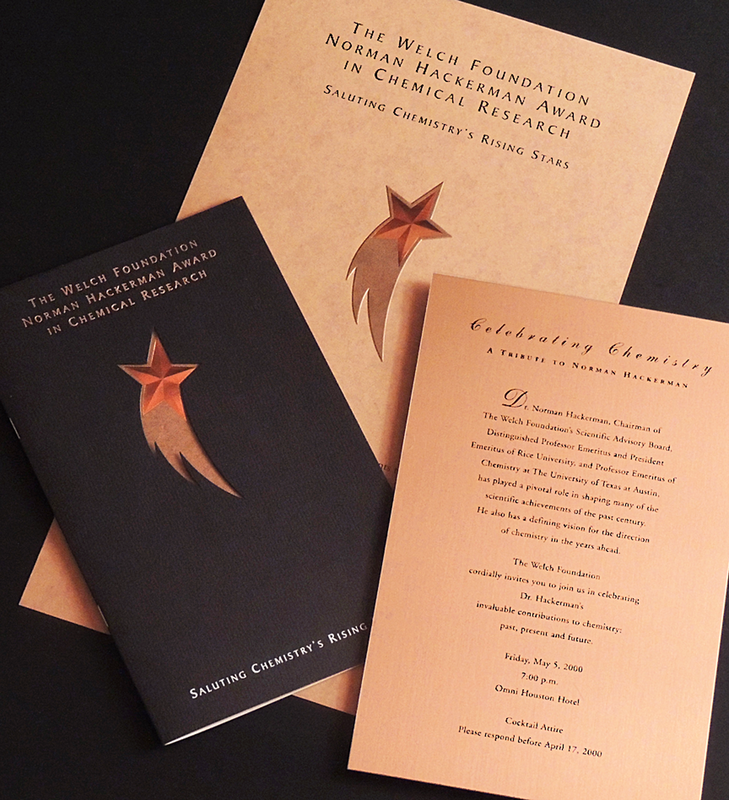 The event invitation was silk screened on a thin sheet of copper alloy. For eleven years Denning & Denning designed annual reports for The Welch Foundation before creating the look depicted below. 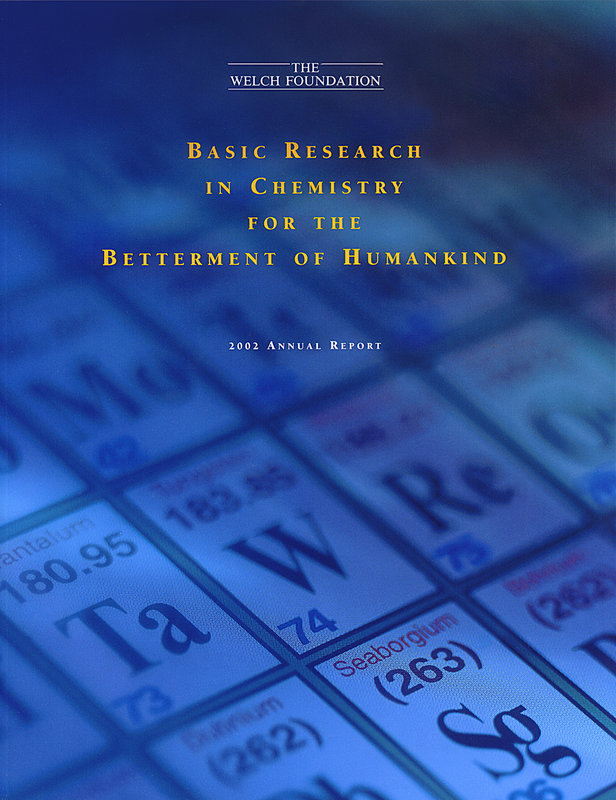 Compared to previous years’ graphics of a die cut and sculptured emboss format, this report featured bold, full-color photography.